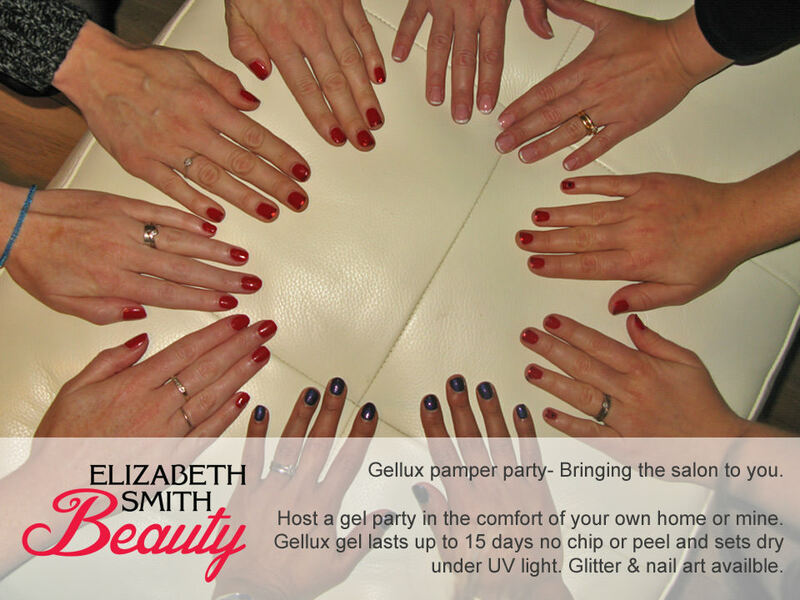 Get the girls together and host a pamper party! 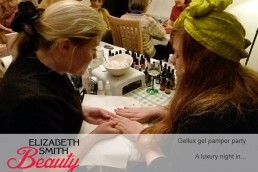 Pamper parties are great way of getting all the girls together for a pamper and gossip. I bring the beauty salon to you! I am happy for parties to be hosted at your house or my own, which ever is more convenient. I will need space for the massage table and products for some treatments. Pamper parties are ideal for getting the girls together for a gossip or a special occasion like a hen party, wedding, baby shower, prom, princess party or Graduation. 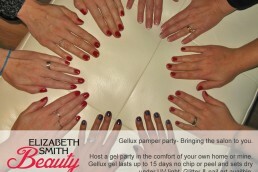 A Shellac gel nails party for toes or nails. Minimum of 5 guests. This is a fab manicure lasting up to 15 days, no chip or peel. Ideal for getting the girls together, hen do, baby shower or similar. This is a very popular pamper party package as it’s easy to arrange for the host as everyone is having the same treatment. It’s great for large groups as I can call on trusted beautician friends to help me, if booked early. 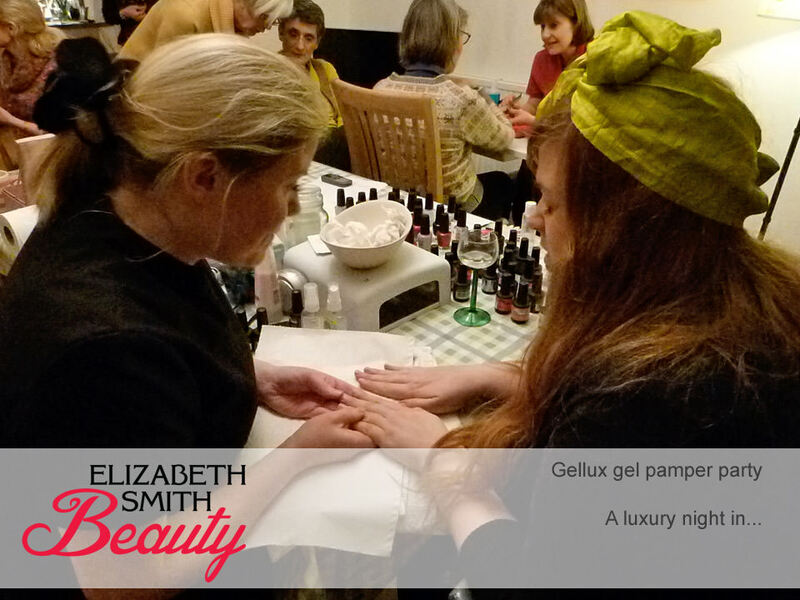 It’s never too early to book up a pamper party – I have bookings two years ahead in my diary at present! I think 18 ladies has been my largest group yet for pamper parties so far! I love this style of party as it’s very relaxed and caters for everyone’s budget. Great for hen-dos, baby showers, proms, work staff meetings or just getting the girls together for a gossip! If you want express lashes or tint you need to come and have a test patch at least 48 hours before the party. 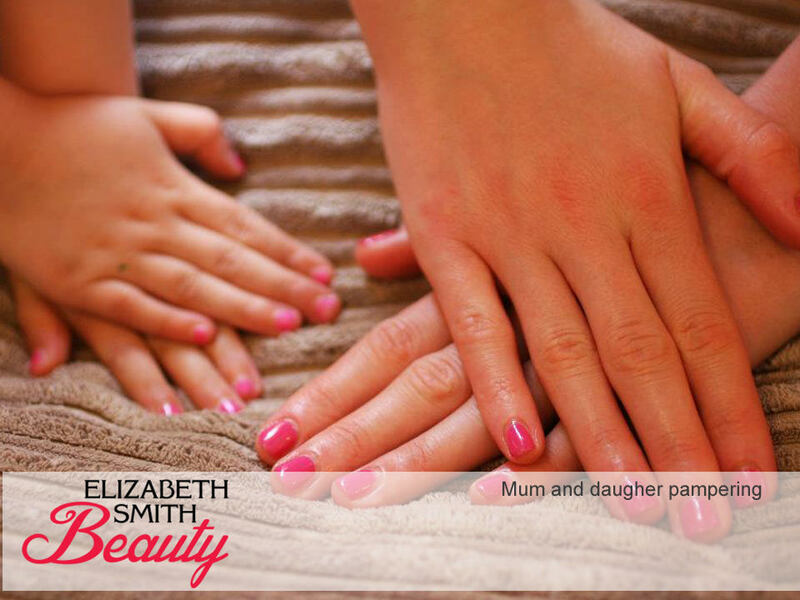 Do you do pamper parties at the weekend? 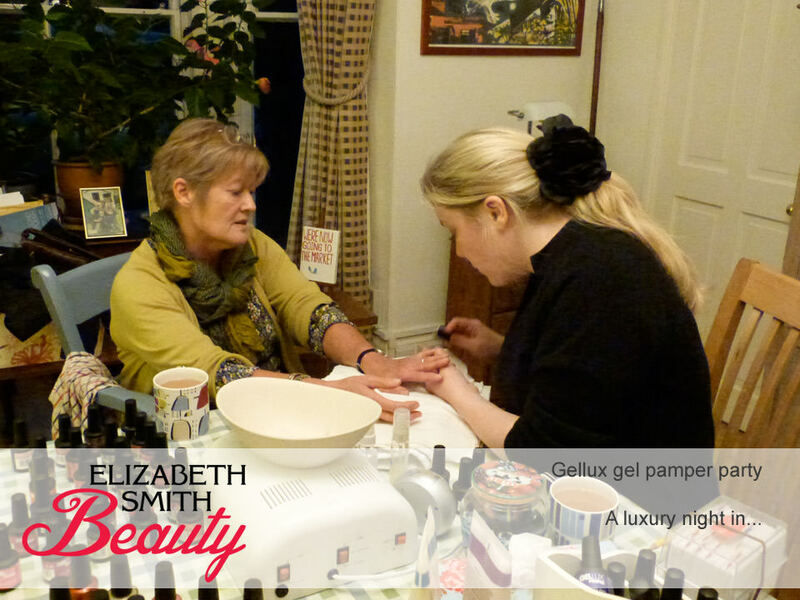 I can do the pamper party at any time, if I am not already booked. When planning the event I normally help suggest a time, for example for baby showers the afternoon works best as the mother-to-be often gets tired in the evening. Another example is if it’s the night before the wedding I would advise early evening as the bride needs to get her rest before her big day. Do I need to provide towels? I use disposable couch roll when I do manicures, so no towels needed. If everyone is having facial treatments then I will bring some extra towels. How far should I book ahead? I personally tend to get booked up about 3-4 weeks ahead. However I know lots of beautician and am more than happy to help you find someone for your date, if I am unable to help. Is there a limit on how many people? No limit. 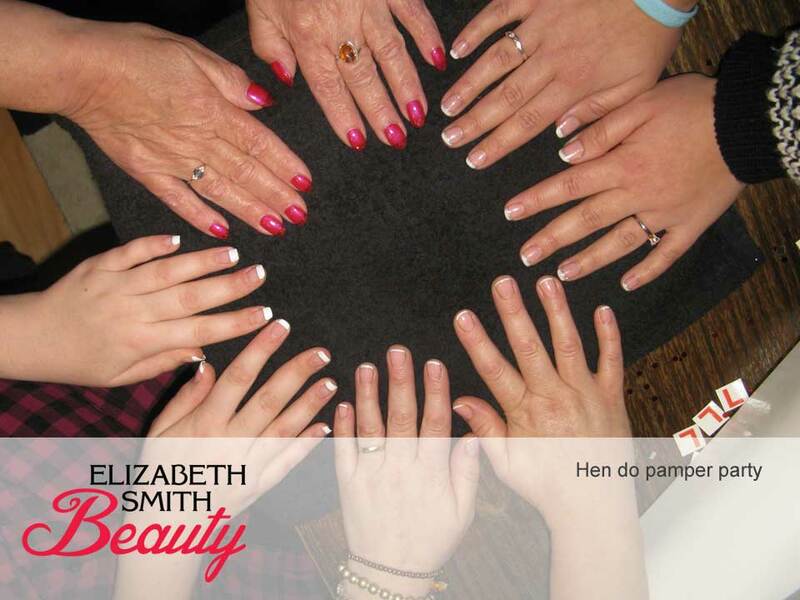 The largest pamper party I have done was 15 ladies and we don’t go home until everyone has had their treatment. There were 6 of us which was a perfect number. Liz arrived early to set up , we had all decided to have Gellux nails done , so Liz put them all on display along with the different Nail Art we could have . 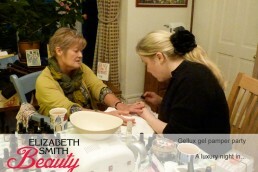 I would highly recommend Liz as shes friendly, down to earth and a fab beautician! 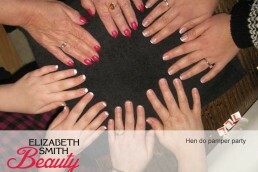 Everyone was really pleased with their nails and we look forward to booking another one! Thanks so much to you both for coming over and painting all of our nails. It was incredibly short notice and there were so many of us! But it was such a brilliant and rather special evening. I know it completely made Emily’s (the bride’s) day and it certainly made mine. We’ve not all sat and done our nails like that since we were teenagers, and here we all were again, all grown up and getting married!